This elegant New Home supports a 250-seat sanctuary complemented by a community gathering space, religious education classrooms and an administrative suite. Circulation and gathering functions are designed as flexible space directly connected to the site. The budget was maintained via conventional wood framing with selective concrete shear walls that also function as passive-solar trombe walls. Designed with a focus on daylighting and sustainability, building-integrated overhangs provide shade in summer and enable passive solar gain in the winter. The project achieved Earth Advantage Platinum and is Net-Zero Ready. 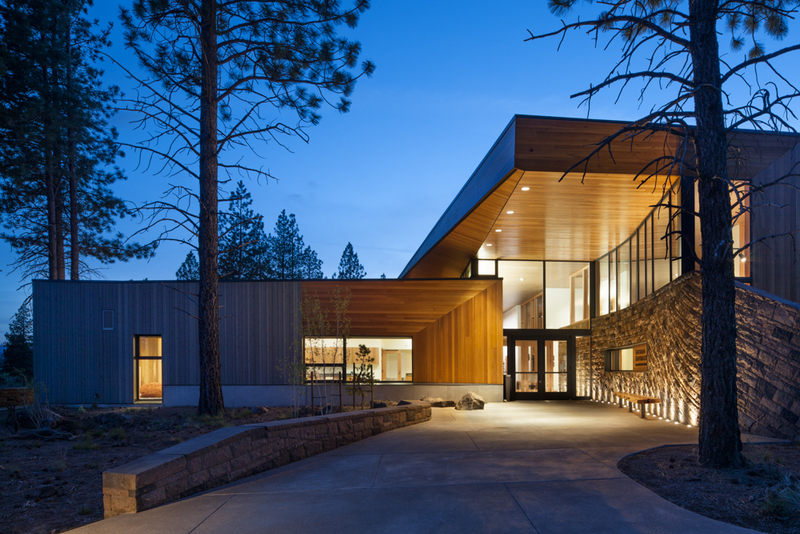 While at Hacker Architects, Amanda Petretti served as Project Architect and primary client contact on this award-winning, iconic building in the high desert Oregon landscape.